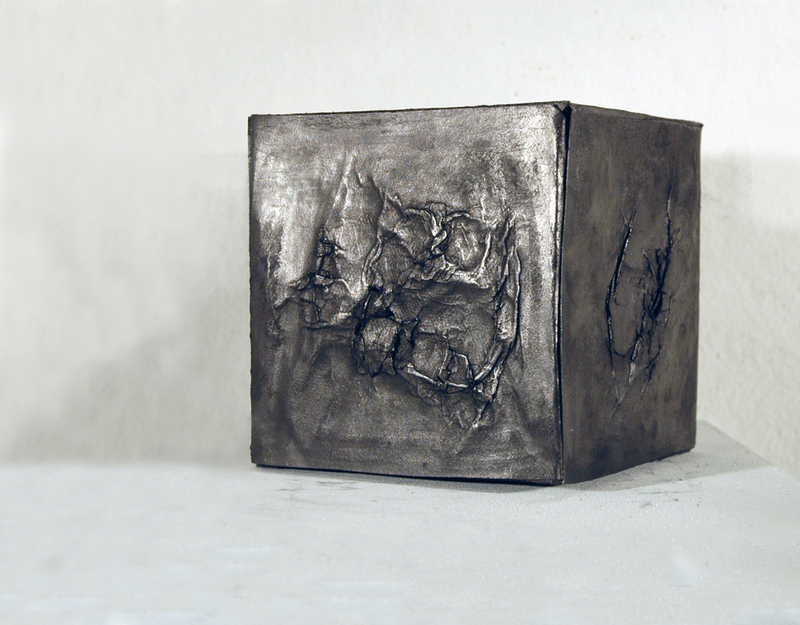 This series of graphite drawings represent an inquiry into the ontology and phenomenology of drawing technique and representation. Eventually my musings led me to look beyond vanishing points and horizon lines to question the nature of depiction. In one piece, drawing was made into the object it was to represent, then flattened into two dimensionality. The creases and marks of its life as an object become the drawing. Another piece blurs the boundaries between drawing and an experiential undertaking. Made by pressing a graphite stick on paper until my muscles failed, this drawing becomes an artifact of the ephemeral experience. This series was made in the Spring of 2008. This piece blurs the boundaries between drawing and an experiential undertaking. Made by pressing a graphite stick on paper until my muscles failed, this drawing becomes an artifact of the ephemeral experience.